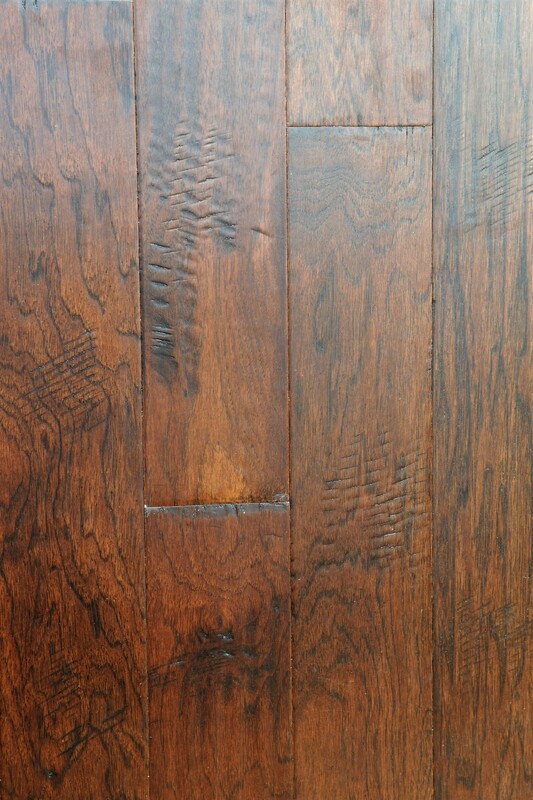 River Oaks Click Hickory Bronze is a handscraped engineered hardwood made in Indonesia and imported by Northside Distributors. This high-quality engineered wood flooring has an aluminum oxide urethane finish for added durability and resistance to scratches. It can be installed with or without glue, and it's available in lengths ranging from 15 inches to 4 feet. The dark hickory wood provides an elegant, rustic appearance, conveying warmth and richness to a room. 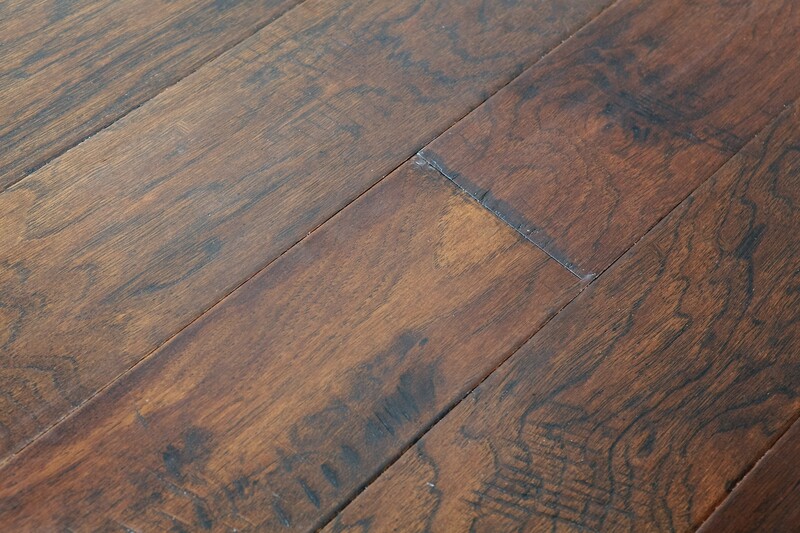 This engineered hardwood does not require glue. It can be installed simply by clicking it together, similar to the way that laminate is installed. This is a popular choice for the DIY community or customers who have subfloor issues and want a floating wood floor. Why engineered hardwood? This advanced technique combines layers of wood that are bonded with adhesives in intense pressure and heat. 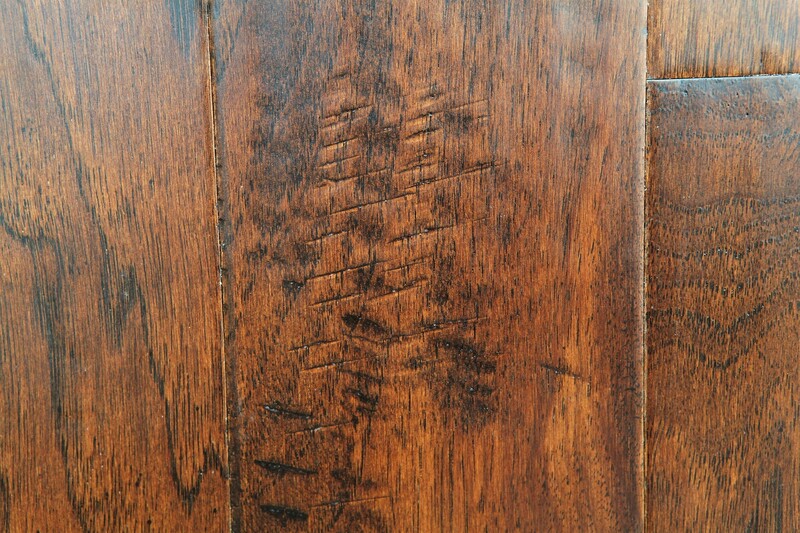 As a result, this type of flooring is not affected by humidity as regular hardwood is. It won't expand or shrink, so it resists warping.